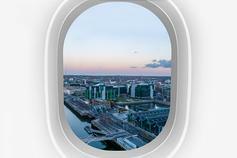 Ireland is the global centre for aircraft leasing with well over 50% of the world’s leased fleet owned or managed here. Industry has enjoyed growth for 10 years with further growth expected in the near and long term, but there is macroeconomic and geopolitical uncertainty on the horizon. After a decade of growth among airlines and lessors, the aviation industry will experience a slower growth trajectory this year, with signs of building geopolitical, macroeconomic and industry headwinds. This is according to industry leaders in KPMG’s Aviation Industry Leaders Report 2019: Tackling Headwinds, produced with Airline Economics. Ireland is the global centre for aircraft leasing and the new report examines the current state of the aviation market and outlook over the coming year, including financing trends, aircraft production and the impact of new technologies. “Over 50% of the world’s leased fleet is owned or managed from Ireland. There are over 50 lessors with Irish operations, with 4 of the top 5 lessors originating their businesses here,” says Tom Woods, KPMG in Ireland Partner and co-author of the report. “Globally, the aviation industry has enjoyed an extended bull run for the past decade. We have seen real evidence of this in Ireland through the significant growth of the sector here. This growth is supported by a wall of investor liquidity that is attracted to the industry’s superior long term, stable, asset backed returns” says Woods. It is generally accepted that the industry cycle has peaked and is tapering back from the very high growth rate of recent years. Passenger demand however is not in contractionary territory. While growth is slowing, it is off an increasing base and so absolute demand remains robust. As the economic environment becomes more challenging, the report anticipates that weaker airlines in particular will come under increased pressure. The report found that the overall optimism for the sector varies by region. Though still regarded as a strong market, Europe presented a very mixed picture for many, with Brexit and other political uncertainties referenced by some respondents. The report found that aircraft leasing companies have grown in scale and numbers in recent years. 2018 saw the leased aircraft portfolio increase by 629 aircraft to 8,109 aircraft (accounting for 45% of the aircraft in service). Merger and acquisition (M&A) activity increased right across the leasing spectrum, with most industry leaders expecting M&A activity to continue through 2019. In the context of Irish companies, the last 10 years have seen AerCap becoming the largest lessor, Avolon, established as recently as 2010, becoming the third largest lessor and SMBC, the 5th largest lessor in the market, growing its business to over $15bn. According to the Central Statistics Office (CSO), from 2007 to 2016 the number of employees in Irish lessors has almost quadrupled. Employee pay has risen by 500%. As of 2016, it is estimated that there are approx. 1,500 employees in the sector, with approx. 5,000 full time equivalent employees when considering the broader impact on the economy. The assets owned/managed by Irish lessors has increased from €33.5bn in 2007 to €141.5bn in 2016. In terms of the finance market, airlines and lessors have been capitalising on the general availability of diverse sources of funding. Japanese investors continue to increase their investment in the sector with much more Japanese operating lease deals in the market in 2018. The capital markets remain very active and innovative, accounting for almost 28% of financing of new deliveries in 2018. The market also saw 14 aircraft asset backed securitisations (ABS) totalling $7.6bn, with strides being made to transform the ABS product to a more transparent and tradable product on both the debt and the equity side. Most expect the ABS market to remain active in 2019. With regards to the aircraft market, the majority of industry leaders believe that Boeing will likely launch a new middle-of-the-market aircraft in due course, although they are divided on how successful this aircraft will be and the extent to which it will cannibalise other existing aircraft types. Production rates are a concern for most lessors, particularly those who worry about supply chain issues and/or a change to the delicate market equilibrium (where capacity growth slightly lags passenger growth). “The capital demands of the industry over the next 20 years are enormous, somewhere between $5.8tn and $6.3tn. Initiatives to attract more capital markets activity would be greatly welcomed, whether this is by attracting more investment banks to establish full service operations here, building on what the Irish Stock Exchange does on the debt side, or attracting more aviation banking activity to Ireland. KPMG is recognised as the Aviation Finance & Leasing Centre of Excellence, advising the international leasing industry for over 30 years.